Real moms share the horrifying middle school experiences their children have encountered. Brace yourself for some shocking true stories! Your child’s transition to middle school is tough. Combine the move with an influx of hormones and popularity cliques, and it’s a recipe for middle school disaster. “Gia” must have missed “the talk,” because this young girl is seriously confused about the birds and the bees. At age 12, Gia thought the best way to get the attention she desperately needed was to get pregnant. Claiming to be a lesbian since sixth grade, Gia opted for a sneaky way to get a bun in the oven: She dipped a tampon in her brother’s urine and attempted to impregnate herself! Follow-up: Of course Gia didn’t get pregnant, and she escaped without an infection. “Amanda” knew kids who used cutting to comfort themselves. The seventh-grader had seen girls mutilate their skin with razor blades. Lost in a world of cliques and bullies, she craved attention. Eager to gain notoriety but having no access to sharp instruments, Amanda, between two of her classes, took a blunt house key to her forearms. The resulting injuries were gaping, bloody and anything but comforting. Follow-up: Amanda was temporarily placed in a residential facility for mental health treatment and is now doing well. After months of suffering alone, “Cindy” decided to leave her food journal out where her mother would find it. Mom had no idea that her eighth-grade honor student was suffering from an eating disorder. The notebook contained frightening entries about “hating my fat self,” and magazine clippings of ridiculously skinny celebrities. Cindy will go an entire day eating nothing but a piece of lettuce that she’s ripped into “exactly 50 pieces,” and still attempt to run for miles on the treadmill. Follow-up: Cindy and her mom continue to struggle on their own and have yet to consult a professional for help. 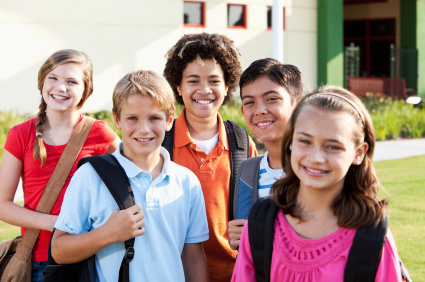 How much independence should a middle school child have?